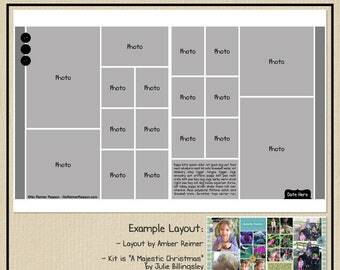 Two Page Digital Scrapbooking Template (24"x12") that includes room for up to 12 photos. 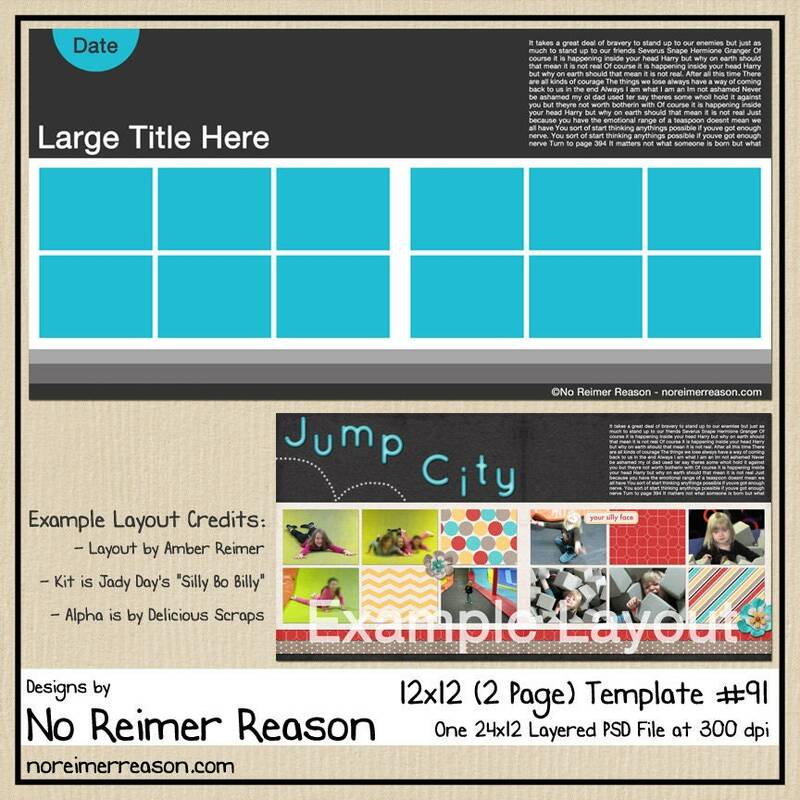 This template was created in 300 dpi as a layered .PSD file and can be used in Adobe Photoshop or Photoshop Elements. 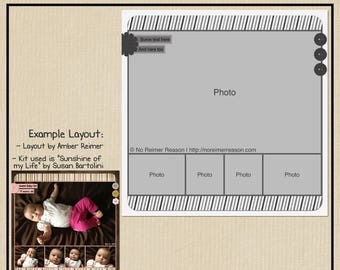 Please make sure you have the required software (Adobe Photoshop or Adobe Photoshop Elements) and some familiarity in using your program before you purchase. 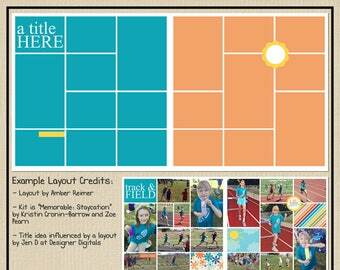 Digital Scrapbook Templates are an easy and quick way to get your photos scrapped. 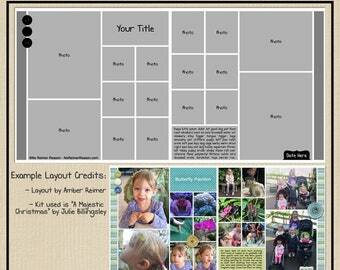 They can give you instant inspiration, as the layout design is already done for you. 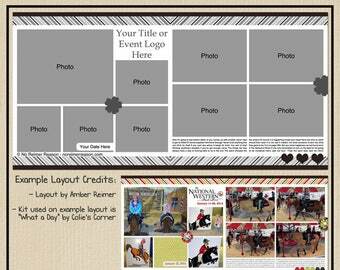 You just simply drag your photos and digital papers into the template, position them above the layers where you want them, resize, and clip to the template layers. 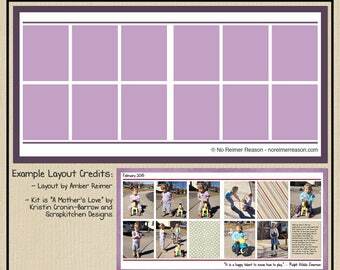 A basic knowledge of clipping masks is recommended, but I am happy to answer any questions you may have. This product can be used for personal or S4H/S4O use. Digital files cannot be returned, therefore refunds/exchanges are not accepted. Due to the digital nature of this product, there are NO REFUNDS, Credits or Exchanges on Digital Goods. Please make sure you have the required software (Adobe Photoshop or Photoshop Elements) before purchasing this product. If you have any questions about your file, please send me a message via Etsy and I will respond as soon as I can. I am always happy to help and answer questions.